One Thoresby Street has made it to the Independent newspaper's list of the world's best secret art galleries. 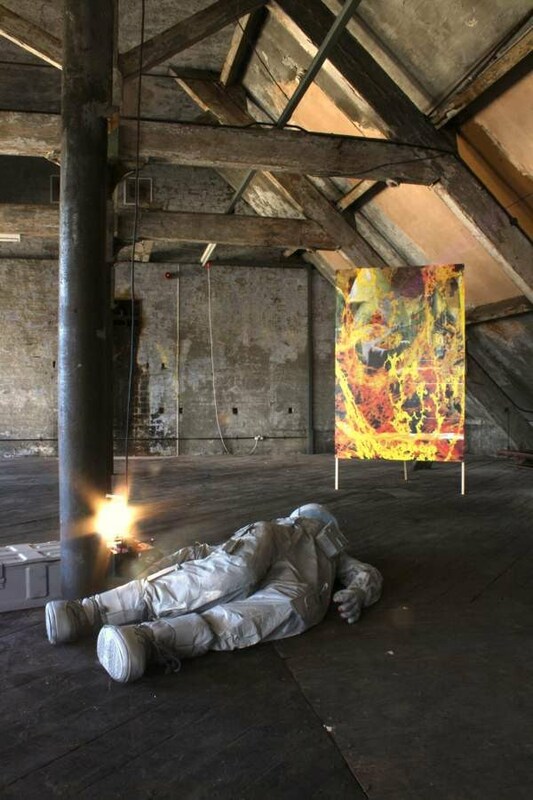 "Number 1 Thoresby Street is an Aladdin's Cave of changing exhibitions, curatorial ventures and artists' studios. It housed MOOT, a project space for emerging British artists run by Candice Jacobs, Tristan Hessing, Matt Jamieson and Tom Godfrey, who've all had studios in the building. They renovated the extraordinary attic space, which artist Bruce Asbestos often uses for his Trade Gallery, which has shown Karin Kihlberg and Reuben Henry, Artur Zmijewski and Abigail Reynolds, among others. Number 1 Thoresby Street is also the HQ of Ian 'Nes' Nesbitt and Emily Wilczek's 'Annexinema', an occasional pop-up cinema that has held eclectic, well-informed nights under flyovers, in tiny theatres and old disused cinemas. 1 Thoresby Street, Nottingham; visit onethoresbystreet.org"
Congratulations to the One Thoresby Street team!